The best boys hairstyles are simple and low maintenance. Most boys love to be active and don’t want hair to get in their way. 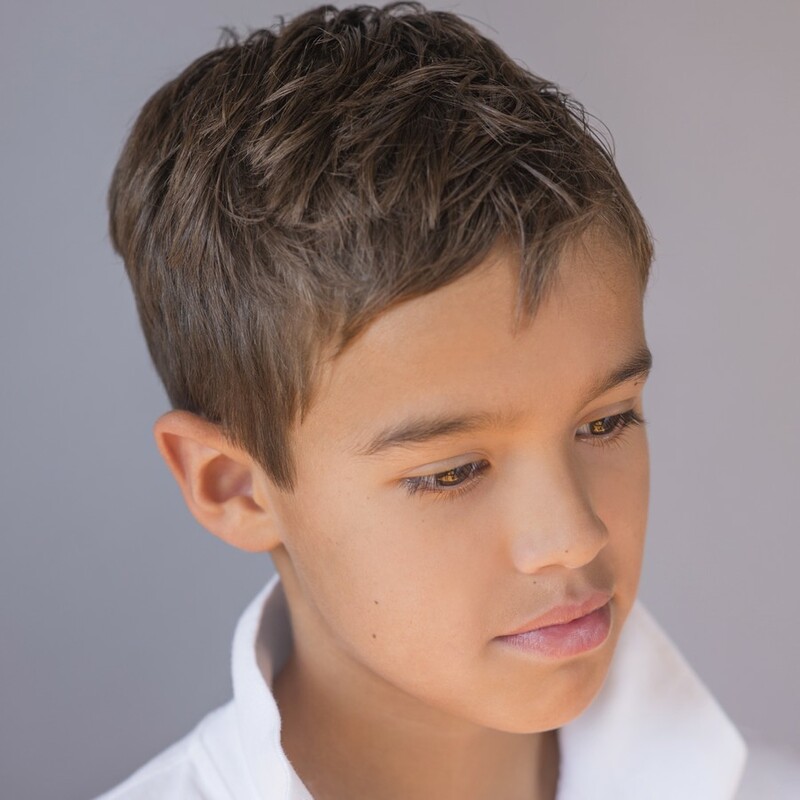 This short slightly tousled look for boys is stylish and functional. Easy to maintain, and looks great combed or messy. The products we use for this style are Bumble and bumble gentle shampoo, the Bb Super Rich conditioner and the Bb Sumotech moulding compound for the great texture and piecing.